Mukul Verma, 41, Software Professional: Around 10 years ago while walking Mukul felt that his knee seized up when he would climb stairs. He would massage the affected knee and it would be fine. Gradually, it started to happen more frequently. The knee pain became chronic and it had become extremely difficult for him to walk or climb stairs. He was diagnosed with osteoarthritis. The cartilage of his affected knee had worn off totally. Without the cushion of cartilage, his bare knee joints began to rub against one another. Verma was finding it difficult to come to terms with the diagnosis. ‘Wasn’t he fairly young? ’ thought he. His orthopedic thinks otherwise. From Bipasha Basu, Hrithik Roshan, Shah Rukh Khan to millions of Indians, enduring pain is an inconvenient reality. Frozen shoulders, aching backs, painful knees and swollen joints are the hurtful reminders of pain and invariably they are snuffed with painkillers. Your doctor will diagnose the pain as arthritis, osteoporosis, slipped disc or spondylosis. And the startling fact is that you don’t need to be old to endure the pain. In India, osteoarthritis is one of the most frequent joint disorders with a prevalence of almost 22% to 39%. Women are more likely to get arthritis and the prevalence increases dramatically with age. Studies conducted in both rural and urban areas have evidenced obesity, sedentary lifestyle and genetics as major factors for primary osteoarthritis apart from the gender inclination with approximately 5 out of 10 women having the likelihood to suffer from arthritis in their lifetime. According to a recent data, India may become the osteoarthritis capital of the world with over 60 million cases by the year 2025. Coping with persistent pain can be the hardest part of having osteoarthritis where pain results from the excess load on the bare bone ends which are exposed due to cartilage breakdown. The pain may be sharp or dull and can be accompanied by swelling and stiffness. Early clinical presentation often includes pain after prolonged weight-bearing activities like standing or walking; whereas stiffness in the joint is generally experienced after inactivity. In severe cases, stabbing pain is felt even at rest and performing simple routine activities like sitting on the floor, squatting, climbing stairs or walking can be extremely difficult. Arthritic pain can interfere with the ability to go about the daily tasks at home and at work or even resting and getting enough sleep. Arthritis is an overall term for any type of joint pain. There are more than 100 kinds of arthritis but the more common ones are osteoarthritis and rheumatoid arthritis. While osteoarthritis is more age-related wear and tear, rheumatoid arthritis is an autoimmune disorder where your immune system mistakenly attacks your body tissues. Till a few years back, osteoarthritis-affected older people. Not anymore. When the chronic pain of Verma refused to respond to painkillers, physiotherapy and weight loss, he contemplated a knee replacement surgery to get relief from it. To some extent, Verma has been right in going for a knee replacement. He can walk, play golf, drive and take stairs, but his knee has the shelf life of 15-20 years. Then, he must go for a replacement. Prevention is the key and early identification of people who are at risk of developing knee pain and osteoarthritis is essential to incorporate strategies to alter or attenuate the risk factors. A personalized program of diet and exercise protocol is recommended and has also been found useful in improving adherence to and persistence with the regimes. Avoid repetitive activity and if your knees hurt while squatting or walking level surfaces you should check with the doctor. India has close to 230 million people in the 50+ age bracket. Of these, 46 million (~20 percent) are osteoporotic women. These women have a greater likelihood of sustaining a hip fracture 10-15 years earlier than their global counterparts. It is estimated one out of five men, and one out three women are prone to a fracture in the 50+ age group. Constant nagging backache is the bane of Indian women. Few know that it is a warning symptom for osteoporosis, a silent disease that secretly steals calcium from your bones and reduces your bone mineral density. The reduced bone mineral density causes back pain and as it progresses you will lose height as much as six inches. Women often develop a deformed backbone that curves forward (called as Dowager’s hump). Porous demineralized bone is greatly susceptible to fractures and in the worst cases, it could cause a fracture, even when you sneeze. Women with osteoporosis may suffer from depression due to increased dependence on others, a change in body image and/or chronic pain. The brittle bones is a bigger health threat for Indian women than the risk of breast, ovarian, and uterine cancer combined. Yet, there is widespread ignorance on bone health among Indians. them. Bone reaches its peak mass by the time a person reaches 25-30 years of age. After the age of 30, bone mass begins to decline slowly in both men and women. The bone loss is more pronounced in women because they have the lower bone mass, to begin with, and they lose a significant amount of calcium from their bones post menopause. When compared to men the rate of bone loss increases multifold in women during the first 5-10 years after menopause when as much as 30% of the skeleton could be lost. This happens because menopause lowers a woman’s level of estrogen a hormone produced by ovaries which is very important to maintain bone mass. Some women stop having their regular periods as a result of stress and eating disorders like anorexia or bulimia which subsequently amplifies the risk of osteoporosis. Use of certain drugs like Corticosteroids, anticonvulsants, thyroid medications may also increase the risk. A sedentary lifestyle is harmful to the health of your bones. Moreover, foods rich in fat, salt and sugar (burgers, pizza, and cola) along with smoking steal calcium from the bones and weaken it gradually. Consumption of alcohol reduces body’s absorption of calcium adding to the risk of developing weaker bones. Also, calcium an important mineral for maintaining healthy bones is deficient in adults and children alike. Couple it with the rampant deficiency of Vitamin D, a critical vitamin for healthier bones in Indians, and it explains the bone health of Indians. Get your bone density evaluated. Your t-score is an indicator of your bone health. Go for brisk walks and lift weights to build bones. Engage in active exercises like jogging, hiking and racquet sports. Wear slippers that grip well. Avoid wearing socks around the house. Keep stairways safe by having non-slip surfaces and sturdy railings. When it comes to osteoarthritis and osteoporosis prevention is better than cure. A good diet along with physical exercises, physiotherapy and alternative treatments like Ayurveda can go a long way in providing you power over pain. Dr. Sudhir Bhatbolan is an Assistant Professor & Clinical In-Charge, Department of Neurological Rehabilitation, S.D.M. College of Medical Science and Hospital, Dharwad. He has over nine years of experience in handling difficult neurological and musculoskeletal disorders. 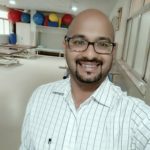 Dr. Bhatbolan is a Gold Medallist in Master of Physiotherapy from Manipal College of Allied Health Science. Very informative post. Great writeup and thanks for all the information & useful tips you have provided.